John Knowles got his start on a plastic ukulele, purchased with paper-route money. A few years later, he bought his first Chet Atkins records and began playing along. 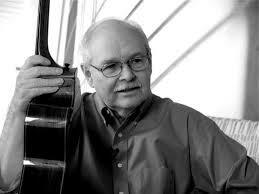 John has worked with Nashville's finest guitarists including Chet Atkins, Jerry Reed, Lenny Breau and Tommy Emmanuel. His compositions and arrangements have been recorded by Chet, Jerry, Tommy, the Romero Family, James Galway, Raffi and XUXA. His work has earned a Grammy and two Emmy nominations. In 1996, Chet Atkins awarded John an Honorary CGP (Certified Guitar Player) and recently, John was inducted into the National Thumb Pickers Hall of Fame for the second time. John currently publishes FingerStyle Quarterly. He teaches and performs around the world.